The LCD-TFT color graphics display panel (AMPIRE AM240320LDTNQW) contains a 240x320 pixel screen and may be controlled from either the digital 16-bit RGB interface of the on-chip LCD controller in the LPC1800/4300, or from the on-chip SPI interface. 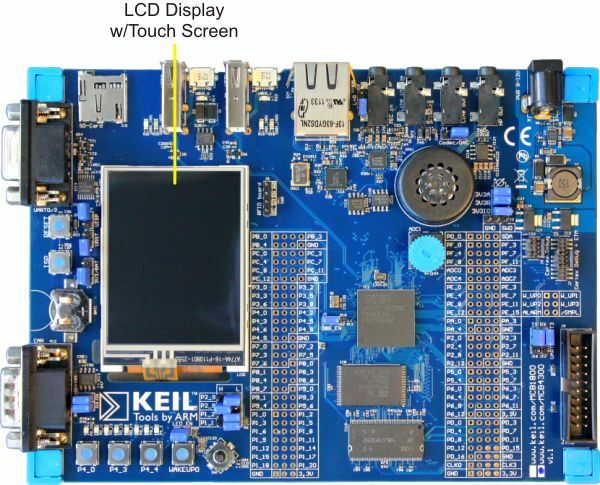 The LCD panel is permanently mounted on the MCB1800 board, connecting to the board via 50-pin flex-circuit connector. This LCD panel includes a 4-wire, resistive touch screen controlled by an STMPE811 touch screen controller (IC20).